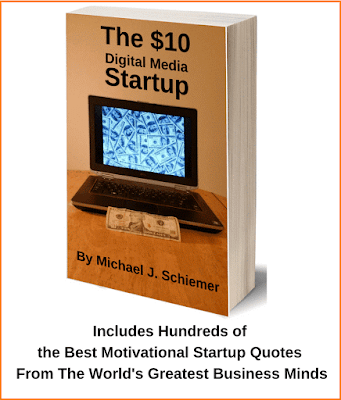 1) "The heart and the soul of a company is creativity and innovation." 2) "I think it is important for people who are given leadership roles to assume that role immediately." 3) "What I've really learned over time is that optimism is a very, very important part of leadership." 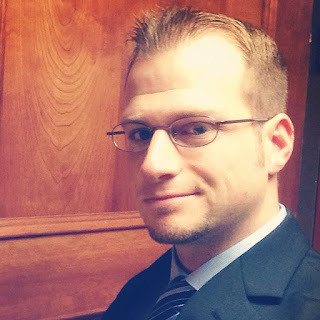 4) "Keeping it simple for the consumer is incredibly dire." 5) "People still love a good story and I don't think that will change." 6) "I get up at 4:30 in the morning, seven days a week, no matter where I am in the world." 7) "People don't like to follow pessimists." 8) "The riskiest thing we can do is just maintain the status quo." 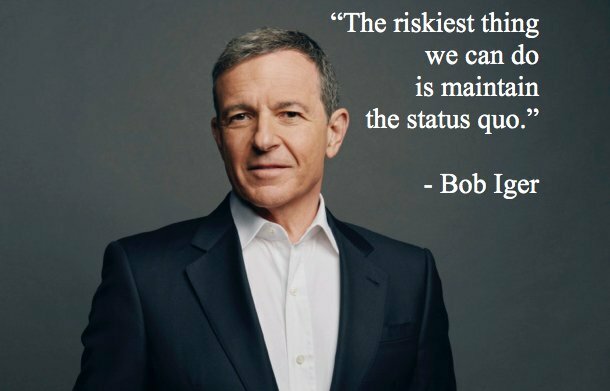 Thanks Bob Iger for the majorly motivational quality quotes! 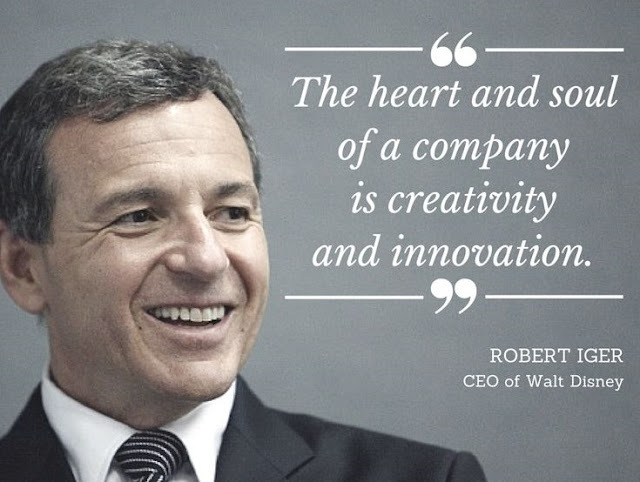 I hope you enjoyed these 8 great business quotes from Disney CEO Bob Iger! Quality quotes indeed! Want more motivational quotes from creative business geniuses?